The latest issue of the Cato Institute's exceptional magazine Regulation includes a delightful critique of price gouging laws by Michael Giberson in which he examines the economics of such laws and critically assesses ethical arguments in favor of them. Giberson's economic argument against price gouging laws should be familiar to lay readers of economics. Price gouging laws are laws that impose controls on the price of a specific good. Typically, these laws impose a kind of price ceiling P, where suppliers of a good are prohibited from charging prices beyond P. Thus, if is the price charged by suppliers of a particular good, then price gouging laws forbid suppliers from setting S above P. In other words, S cannot exceed P. Thus, price gouging laws keep prices lower than what they would be within a free market environment. Of course, the problem with such price controls is that they cause shortages. Take gasoline. Natural disasters cause gas prices to rise by reducing the supply of gas. 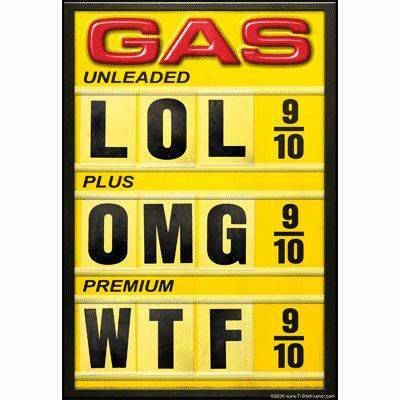 Price gouging laws prevent gas prices from rising however. As gas prices fall due to the laws, the quantity of gas supplied by gas retailers falls and the quantity of gas demanded by consumers rises, in accordance with the laws of supply and demand (some suppliers may even temporarily halt transactions). As the quantity demanded exceeds the quantity supplied, a shortage ensues and the availability of gas falls significantly. "The South Carolina report on price gouging also indicated that some retail stations went to extraordinary lengths to secure supplies during the emergency even though they were uncertain as to whether they would recover their costs. Zwolinski argued that while such efforts may be laudable, merchants are not under an ethical obligation to do so. In fact, merchants face no ethical obligation to remain open during emergencies, even though closing may contribute to hardships among some potential consumers. And if merchants may ethically close, Zwolinski pointed out, it can hardly be unethical for merchants to remain open but offer goods at a higher-than-usual price. By remaining open even with high prices, the merchant is providing potentially helpful opportunities for consumers in need." The pertinence of Zwolinski's point cannot be overstated. Price gouging laws do not reprimand or punish business owners whose goods are subject to such laws if the owners choose to halt operations completely. During or after natural catastrophes, when price gouging laws are usually activated, firms subject to such laws can shut down with impunity if they determine that further operations will be unprofitable due to the laws. If the firms to cease business activity are gas retailers, then shutting down ensures that gas exchanges will not occur, i.e., that no positive-sum transactions will take place. Neither the gas retailers nor the gas consumers are capable of making gains under these circumstances. Now surely it is worse for the welfare of the community for gas retailers to abort distribution then it is for gas retailers to charge higher-than-usual prices for their gas, since an end to economic activity means the absence of the possibility for positive-sum exchanges. If retailers are allowed to charge disaster prices, then consumers are still able to acquire the gas that they need. If retailers shut down, gas is denied to all consumers. The oddity of price gouging laws here is that they penalize gas retailers for charging higher prices, but exempt them from penalties if they close up shop, the latter decision being one that negative affects consumers even more than charging higher prices. If policymakers propose price gouging laws on the premise that charging disaster prices qualifies as exploitation, then perhaps consistency would require them to impose laws forbidding firms subject to price gouging laws from aborting transactions because doing so is, according to the logic of the exploitation argument, even more egregiously exploitative than charging disaster prices. If not, then policymakers will have to narrow down their definition of exploitation.